'September resolutions.' Among them: fall is the most popular time for marriages, gym memberships soar, we start planning fall soups and healthier eating and the change in temperatures inspires us to clean out our garages and closets. * ... EL NINO: Speaking of fall, last year at this time we were anticipating a huge El Nino year to help alleviate the drought. This year? 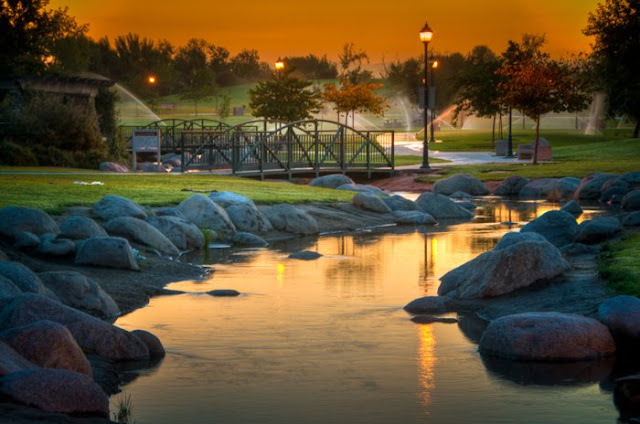 No El Nino is on the horizon and we are all praying for rain to clear the air. * ... NOVEMBER BALLOT: Did you know there will be 17 statewide propositions on the November ballot in California, in addition to all the tax raising local initiatives for schools? Other than Prop 64 which deals with legalizing and regulating marijuana, most of these initiatives are little known to the average person. It should be up to all of us to do our homework and research and understand each initiative, but my guess is most folks will simply vote "no" on the ones they don't understand, and frankly I can't blame them. * ... WARNING: If you attend Bakersfield College or live in the area, be aware of a man driving an older gold Toyota Camry who has been following and approaching female joggers in the area. The college is taking this so seriously that it has warned students to be careful, particularly in the early morning hours. * ... BAD FORM: A reader named Andrea submitted this item which qualifies for my bad form Hall of Fame: "I witnessed a mother pull into the parking lot of a convenience store with her toddler sitting in the front passenger seat, not in a booster seat in the back where he should have been. She engages the child in some sort of conversation. The child then gets out of the car and urinates in the parking lot all the while she sits there and watches him. He then gets back in the car and they leave. I cannot think of a single legitimate reason for the mother allowing this." * ... SPOTTED ON TWITTER: Apparently saying "make it a double" followed by a wink doesn't work at a the pharmacy. * ... SCAMS: Judy Marberry wrote to say she too has received telephone calls from people posing as IRS collectors. "In reading your letters I felt I needed to reply to the scam calls. I sympathize with your reader and the public really needs to be made aware of the dangers it could present. In the last three months my husband and I have received a total of 18 scam calls. All recordings suppose to be IRS. I did report this to the consumer affairs but it was a total waste of time." * ... MEMORIES: A reader asked me to pose this question to all of you. Here goes: "Do you remember the Coachlight Restaurant on the west side of Union Avenue north of 34th Street? It had an outdoor patio. It was one of our favorite places and where Michelle and I went for dinner the night we got engaged. I’m trying to figure out which building it was in, but it may be gone. Flood Ministries is at 3509 Union which seems like it might be in the same place." 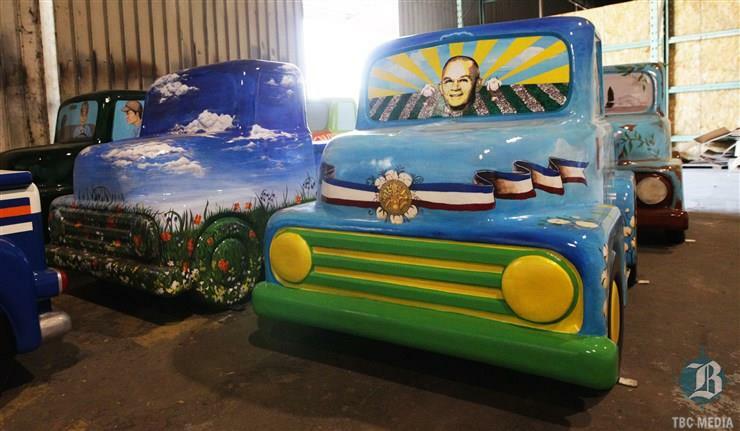 * ... TRUCK ART: One of the most interesting 'public art' projects is coming our way soon with the unveiling of a series of miniature fiberglass 1956 Ford pickup trucks painted by local artists. Sponsored and coordinated by the Bakersfield Museum of Art via private funding, the project will celebrate our local blue collar roots with this series of whimsically painted fiberglass trucks that will be placed throughout the community. They will be previewed later this month at the museum. Visit bmoa.org for tickets. 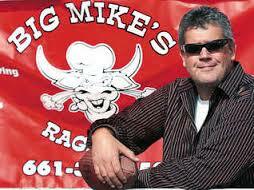 * ... BIG MIKE'S: Big Mike's Ragin BBQ is headed downtown in a partnership with The Mark restaurant on 19th Street. Up to this point Big Mike's (run by former Green Bay Packers lineman Mike Ariey) has been a catering business but now he will be running a lunch service at The Mark from 11:30 a.m. to 2 p.m. on Wednesday, Thursday and Friday. Entrees include baby back ribs (my favorite from Big Mike's), tri-tip and garlic chicken with sides and salad. The move comes on the heals of The Mark shutting down its weekday lunch service. Big Mike's will be featured in the outdoor eating area (branded The Park at The Mark) with the hope of creating an atmosphere similar to the patio dining at Luigi's Delicatessen. * ... SPOTTED ON TWITTER: How long will it take before a rock band renames itself "Basket of Deplorables?" * ... CENTRO: I finally made it over to Centro 18, the (relatively) new Mexican fusion restaurant on 18th Street next to the Chain Cohn building. If you are a fan of scallops, as I am, try the appetizer where the scallops are delicately prepared in a butter and garlic sauce and topped with parmesan cheese. The service was excellent and I am told the Sunday brunch is one of a kind. * ... HAPPY JACKS: Congratulations to Happy Jacks and owners Frances and Ruben Rosales. 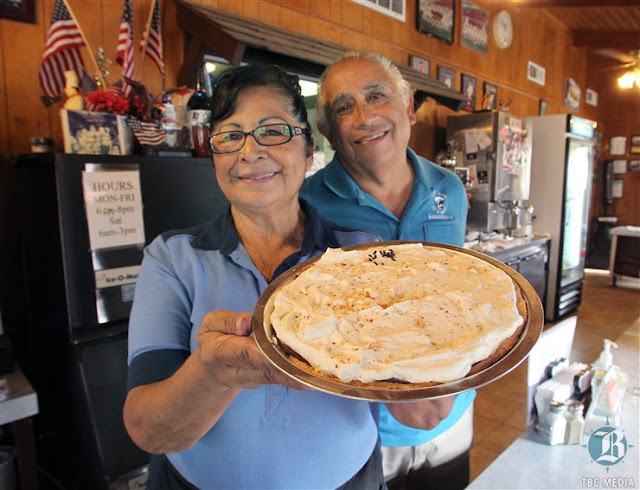 The popular downtown eatery known for its burgers and pies recently celebrated its 54th year in business. I treated myself to a bacon cheeseburger and the eatery's outstanding home fries with cheese after a bike ride over White Wolf grade. * ... BAD FORM: Kym Vliem shared this bit of bad form: "On Thursday in the time it took to pull in to a parking space on 17th by the City Building Department we saw two cars illegally U-turn; one from a parking space on 17th to head back towards Chester and the other heading east on 17th who flipped a U mid-street to get a parking space facing west. I guess people consider DMV rules only as 'suggestions' anymore." * ...MORE BAD FORM: As long as we are talking about bad form, Judy Herndon had this to say: "I recently saw a newer-model white pickup in the parking lot of the Von's store at Coffee and Hageman with large white lettering on the back window, saying: F*** CANCER. People, I doubt that anyone hates cancer more than I. Cancer took my mother's life when I was just a child. But this language, displayed in public as it is, is so offensive on so many levels. Of course it does nothing to actually eradicate the disease, yet it is a sad example to set for children who view the vulgarity. Instead of offending the public and lowering standards, why not help with fundraising efforts to fight the disease, or help those suffering from it, or help community members get screened so cancers can be found and battled earlier. DO SOMETHING to help the situation instead of cursing it. "